Unless you’ve been sleeping under a rock (under Iraq? Unforgiveable pun? ), yesterday’s Supreme Court decision to uphold the majority of the Patient Protection and Affordable Care Act (PPACA), ruled in the National Federation of Independent Businesses v. Sebelius, likely caught your attention. Despite attempts to repeal the act by both the 111th and 112th Congresses, the Court determined that the government mandate for health care was a tax, and thus fell under Congress’s taxing authority, with the caveat that the federal government could not withhold Medicaid funds in their entirety to states that refused to comply with Medicaid expansion. The Washington Post has a helpful electronic cheat sheet that explains how the legislation will affect you directly in the months and year to come, based on the type of insurance you do or do not carry, your income, and household status. With that in mind, we asked scholar Beatrix Hoffman, author of Health Care for Some: Rights and Rationing in the United States since 1930, to weigh in on Court’s ruling in light of her own research on America’s long tradition of unequal access to health care. Her thoughts follow below. The Supreme Court shocker that (mostly) saved the Affordable Care Act adds a new chapter to the history of health-care reform in the United States. As we heard frequently throughout the debates, several presidents and numerous politicians have proposed national health-care plans in the past. Over the course of nearly 100 years, only Lyndon Johnson was successful, with the creation of Medicare and Medicaid in 1965. Then, when Congress passed the Affordable Care Act (ACA) in March 2010, Barack Obama achieved the most sweeping reform in history. Yesterday, just a single vote by Chief Justice John Roberts saved the entire law from being declared unconstitutional. 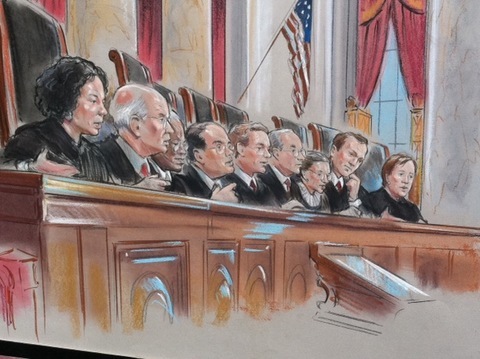 This was the first time that national health-care reform faced a constitutional challenge. Medicare was funded through a payroll deduction, which (the Supreme Court just reminded us) was fully within Congress’s power to tax. Medicare’s framers deliberately grafted their new health-insurance program for the elderly onto a popular, efficient, payroll-tax-based system that already existed and was fully constitutional: Social Security. President Obama and the members of Congress who wrote the Affordable Care Act broke with this successful reform tradition by rejecting the option of expanding Medicare or otherwise building on existing tax-based social insurance programs. Believing such an approach to be politically unfeasible, they instead opted for the “individual mandate,” which requires the uninsured to purchase private health insurance, an idea that originated in a conservative think-tank and was first applied in Massachusetts under then-Governor Mitt Romney. Despite this dramatic political compromise, the individual mandate did not succeed in capturing the votes of the Congressional opposition—not a single Republican voted for the Affordable Care Act—and made the new law vulnerable to the constitutional challenge we just witnessed. Now, however, it is the law of the land. The individual mandate was also a crucial compromise with the insurance industry. The Affordable Care Act forces fundamental change in the way American insurance companies do business. It requires them to offer guaranteed enrollment to customers, regardless of preexisting health conditions, age, or other factors. This goes against the grain of the insurance principle, which is to not sell policies to people who might actually need them or use them with any frequency. Ending health insurance exclusions and lifetime caps on coverage would spell the end of the insurance business as we know it—except that the individual mandate will, in exchange, bring these companies millions of new customers, including many who will be able to afford private insurance for the first time due to new government subsidies. Now that the mandate has been upheld, the Affordable Care Act will deeply transform insurance practices, while at the same time diverting large amounts of government funding to the insurance industry and requiring uninsured Americans to rely on private insurance companies for their coverage (the possibility of a “public option” was killed off during the Congressional negotiations). The new ruling limiting the government’s ability to force states to increase their Medicaid enrollments is a serious blow to the goal of expanding coverage, since poorer Americans will be unlikely to afford the required private insurance, even with subsidies. The historic decision by the Supreme Court on June 28, 2012 concluded one major debate about the Affordable Care Act, but is just the beginning of many more. 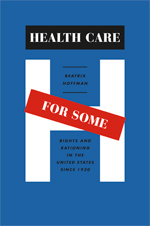 Beatrix Hoffman teaches history at Northern Illinois University and is the author of Health Care for Some: Rights and Rationing in the United States since 1930 (University of Chicago Press, 2012).